Here we go! This is Fun! Yes, it's "F" Trip! We had a long day but we enjoyed the “F” trip. It was out and out chow, creativity, fun, culture, music and laughter. It was immersion par excellence. The experience was great and we did plunged our way to the Fine Arts Island (it was yellow, rainbow and magnificent if you know what I mean). Yes! It was Urban (with the traffic, rain, rush and chaos) but many of us were prepared and persevered to get beyond the so-called Manila drift. 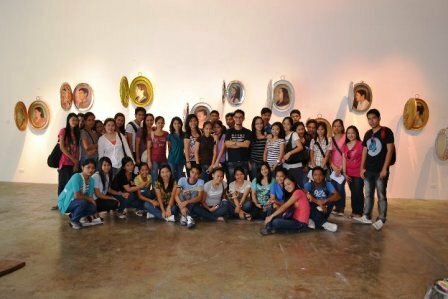 116 students signed up to experience Filipino eclecticism and then we went to Spot.Ph Top 5 Manila art galleries and visited the Galeria Duemila, the Finale Art File, Nova Gallery, the Ayala Museum, the National Art Gallery and the Cultural Center of the Philippines. We had a good night out at the 19 East Music Hall that featured MYMP and stayed at the homely and cozy Great Eastern Hotel in the evening. 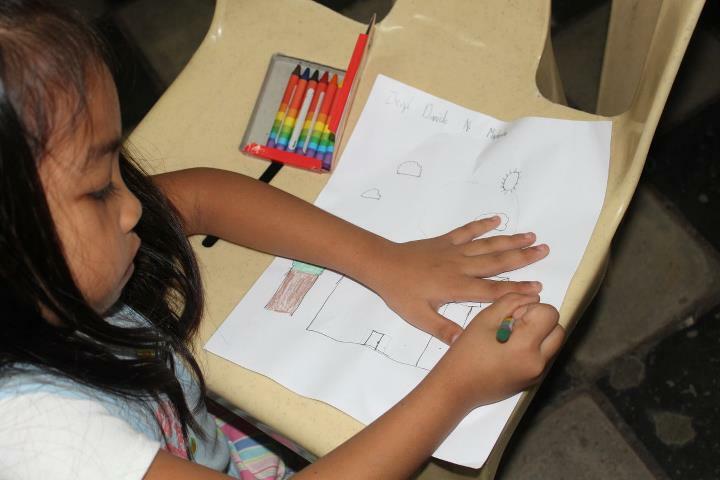 We learned that the messages of the artists and their artworks were implicit and hidden behind their hues, their shades and their binders. 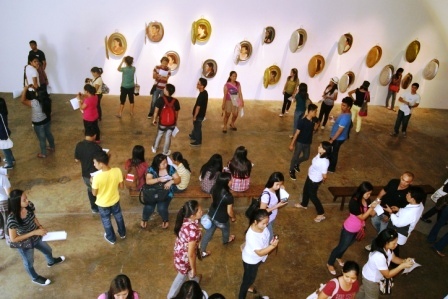 First stop was at the Galeria Duemila Manila, an international art gallery in Pasay city. 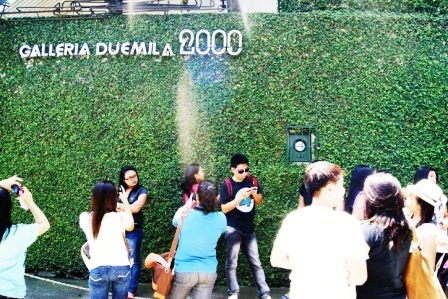 Galeria Duemila, I was told, is the longest running commercial gallery in the Philippines. It was established at the height of the Martial Law era in 1975 to be exact. 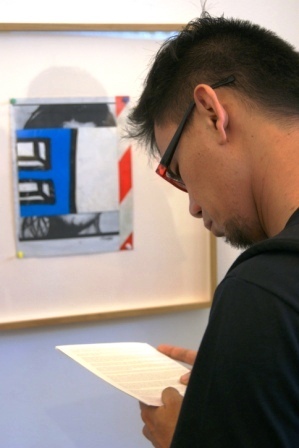 The gallery specializes in contemporary paintings, sculptures, works on paper and installations. 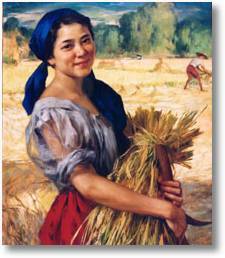 It handles rare works of early 20th century masters that includes Fernando Amorsolo, Fernando Zobel, Vicente Manansala among others. The Gallery maintains close ties with museums throughout Asia, Australia, Europe and the United States and has engaged collaborative work with the Metropolitan Museum, Bank of Tokyo, and San Miguel Properties. 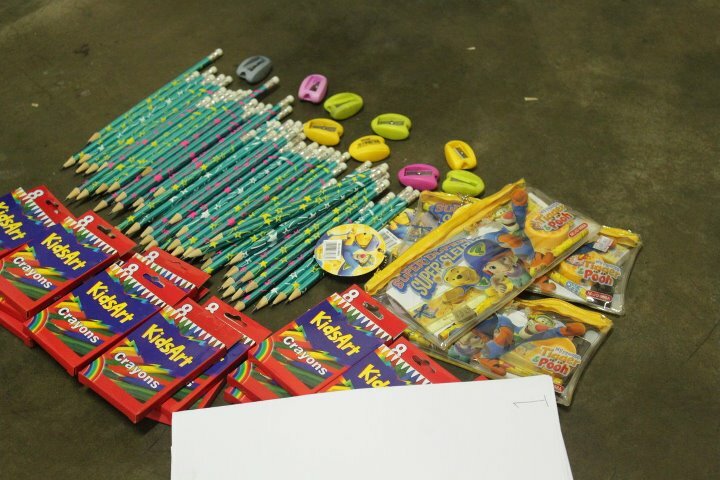 Apart from this, Galeria Duemila devotes its resources in the advocacy of art historical research and scholarship. Collage Art. Robert Chabet's Head Collage Series Works on Paper. Galeria Duemila. 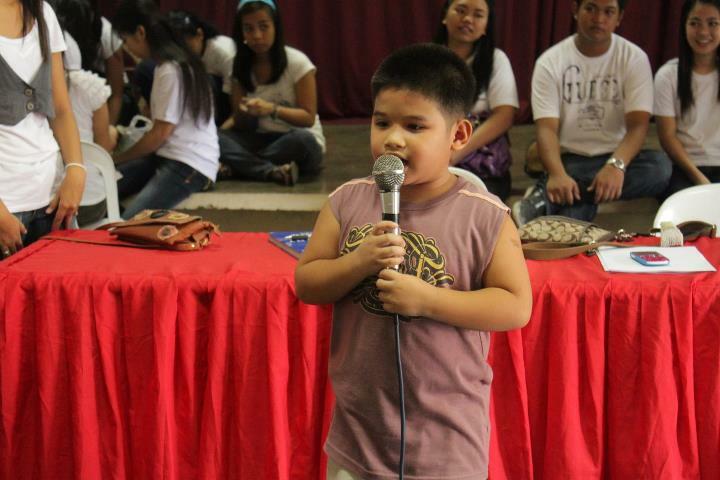 Photo by Darwin Cadiz 2011. Collage Art. Head Series Collages by Robert Chabet at Galeria Duemila 2011. Darwin Cadiz Photo. Reading the review. Head Series Collage by Robert Chabet at Galeria Duemila. Darwin Cadiz Photo. 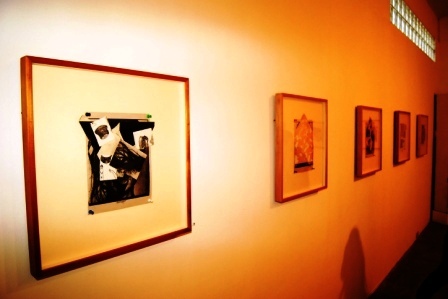 That day, the Head Collage Series Works on Paper (approximately 30 collages) of Roberto Chabet were exhibited. 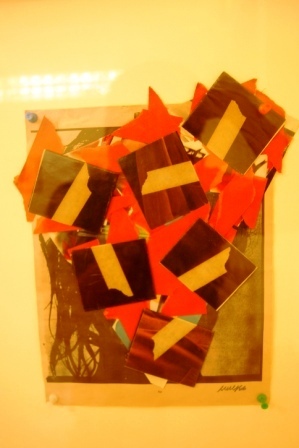 Chabet used multifarious piles of paper, memorabilia and mundane objects as materials for his collages. Collages are pictorial compositions made by gluing scraps of papers and found objects and its elements are cautiously and carefully selected as noted in the review of Chabet’s works on paper. 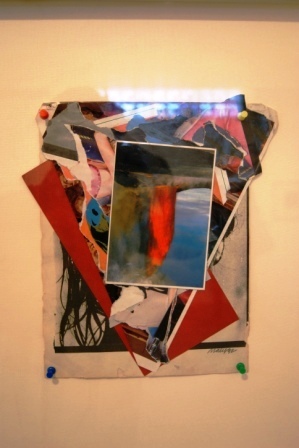 In the head series, Chabet used the headshot of supermodel Lauren Hutton as the foundation of the cluttered artwork with assorted images patched at the surface. 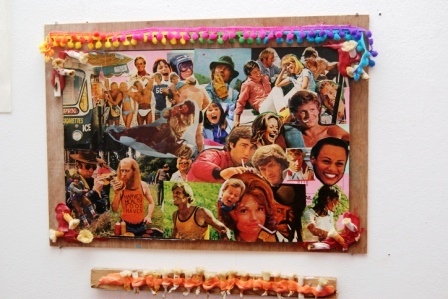 Collages are like visual narratives that illustrates significant events in history. 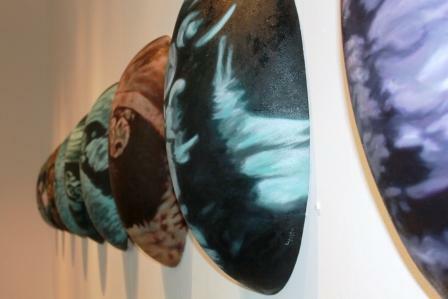 The exhibit of Chabet’s Head Series is a joint project of the Galleria Duemila and King Kong Art Projects Unlimited as part of the yearlong Roberto Chabet: Fifty Years project. 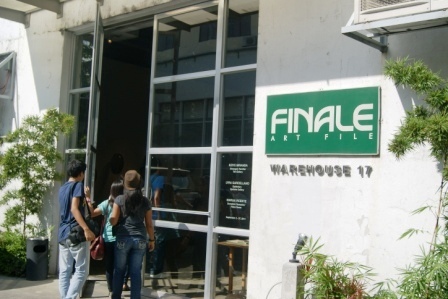 Finale Art File at La Fuerza Compound Makati. Spacious in terms of Floor and Cubic Area. 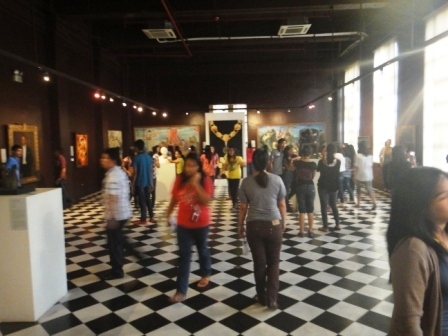 A premier art gallery in Manila (established in the 80s) the FINALE ART FILE is spacious in terms of floor and cubic area. It can accommodate gigantic size paintings, installations and sculptures. 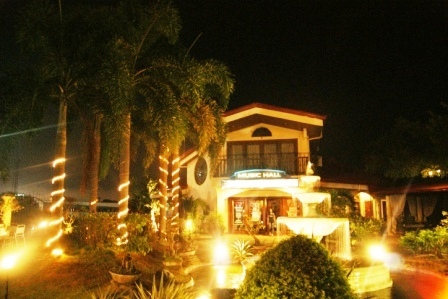 It has three multi-functional art galleries: the Tall Gallery, the Upstairs Gallery, and the Video Room. It is equip with a library (impressive!) that stores a wide and diverse work portfolio. Luckily, we were able to catch a glimpse of Keiye Miranda’s Strangely Familiar, Lyra Garcellano’s Epistolary, and Marija Vicente’s Somethin’ Somethin’ exhibit. 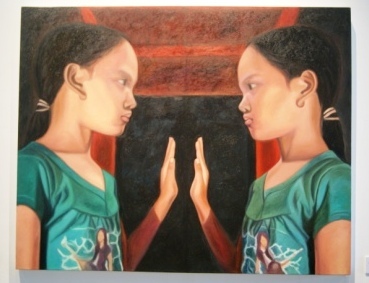 Keiye Miranda portrait series of twin Children at FINALE, examines notions of identity and self, individuality and duality, looking and being. The works are really colossal in frame and context. 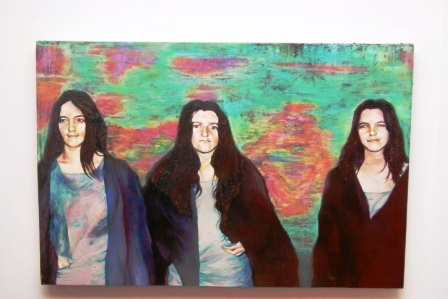 Miranda’s work rings a bell as the meaning, I assume, is similar to the Beatles song “I’m looking through you” to remind us of who, when and what we are amidst the similitude of life. The magnificent artwork portrays essence in individuality beyond the superimposing pressure of homogeneity in physical existence. Miranda suggest that the being within is the quintessence of human life. 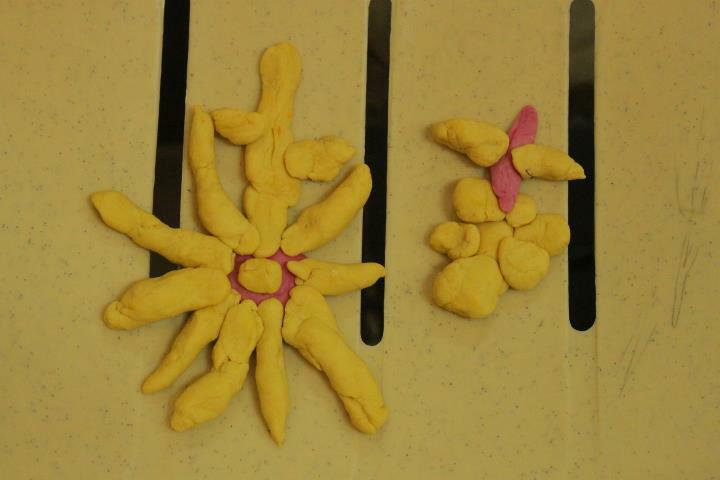 Egg shaped binders depicting the formation of twin babies in a mothers' womb. Keiye Miranda Strangely Familiar Exhibit. Lyra Garcellano’s exhibit entitled Epistolary, displayed at the Upstairs gallery, was equally superb. To some of the “F” trippers,it was a diary of sadness painted in the mirrors of our memory. It was, according to the “F” trippers’, heart blowing and like the music in your ears echoes through the night. 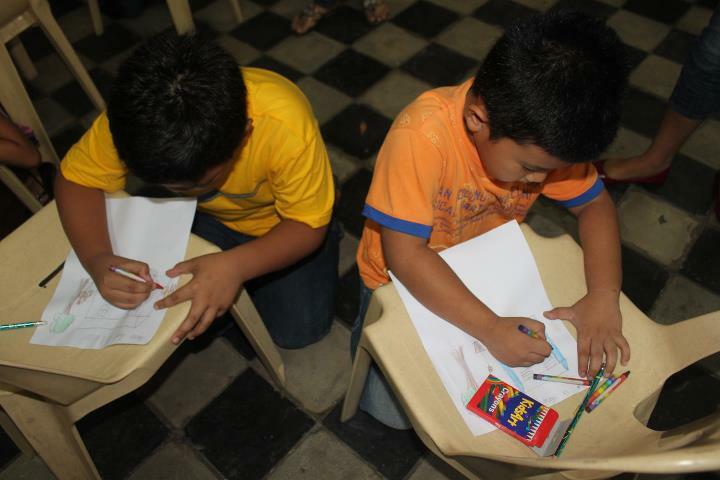 The feeling of sadness and reflection was felt and intensified as they glued their discriminating eyes to some of the magnificent artworks of Garcellano. 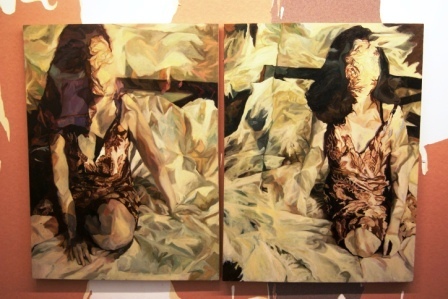 The exhibit is a continuation of Lyra’s exploration of time, space and memory. 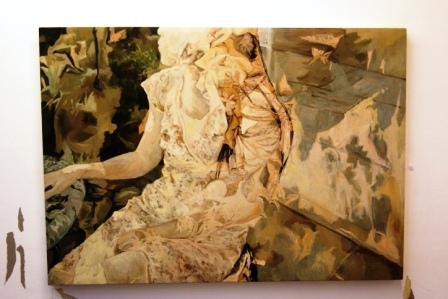 In the review it says that Lyra’s “ghostly images of solitary figures examine the idea of imprints and suggest that each personal or collective experience leaves almost visible stains on the body as well as an enduring ache.” Lyra tried to create deep impressions on presence and absence, arrivals and leavings, stasis and movement. The blogger! 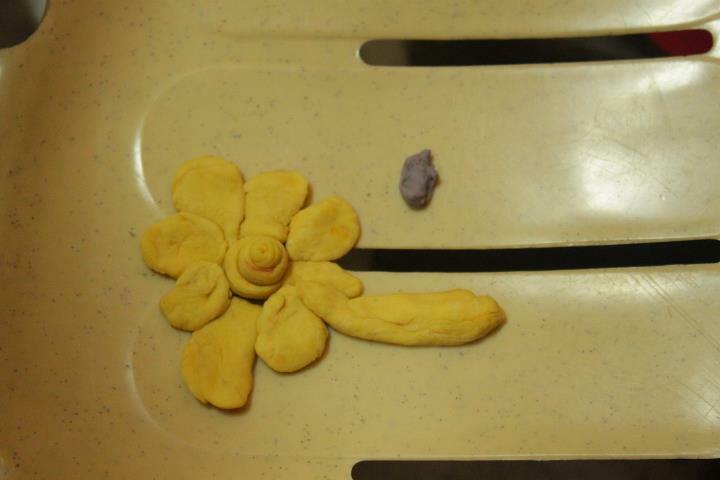 Art work by Lyra Garcellano. Finale Art Gallery. Tell me who your friends are and I tell you mine. 2011. Collage on paper. 12 x 17. Marjia Vicente. 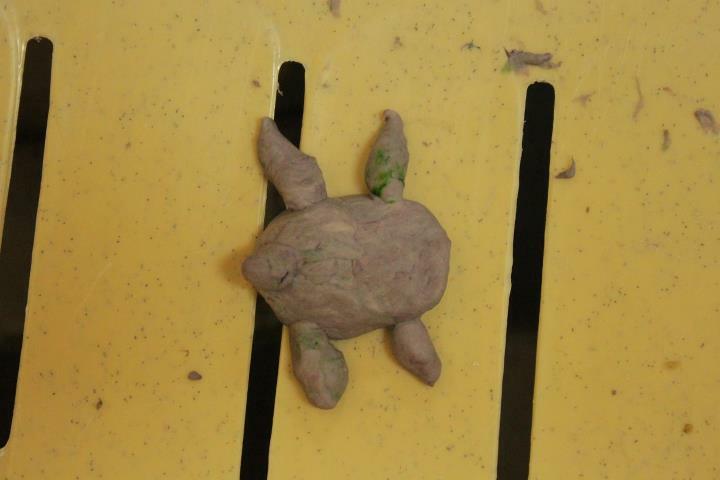 Finale Art Gallery. Lyra Garcellano 2011. 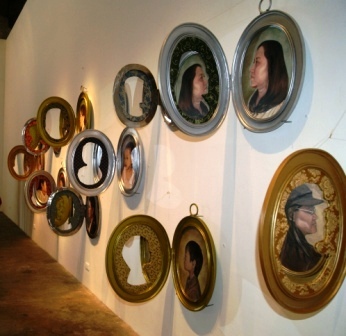 Artwork displayed at Somethin' Somethin' exhibit. Finale Art File. Gettin' Psychedelic at the Video Room Gallery. Finale Art File. 2011. Lorie Dancel Photo. 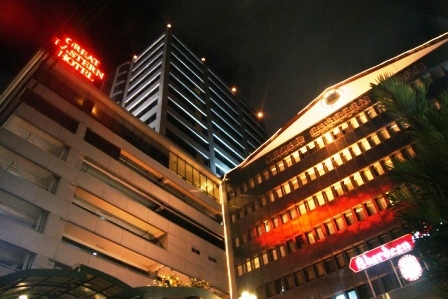 Also located at the La Fuerza Plaza Compound, Makati is the Galleria NOVA. The Negros Occidental Visual Art Space (NOVA) features national and international artists whose works are reflective of Carlos Oppen Cojuangco Art Collection. 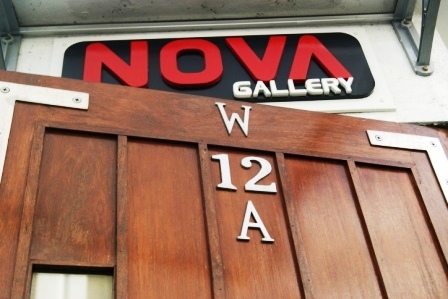 The gallery offers a variety of services for the artists and collectors in support of non-profit and cultural projects. The gallery intends to harness informed discourse within art communities, locally and abroad, to widen their exposure and expand collectors’ network. According to Ali, the exhibit demonstrates how the icons and the politically powerful maneuver and manipulate mass media to influence the people and wield power and authority. It focuses on selected political pronouncements and practices in contemporary video art. 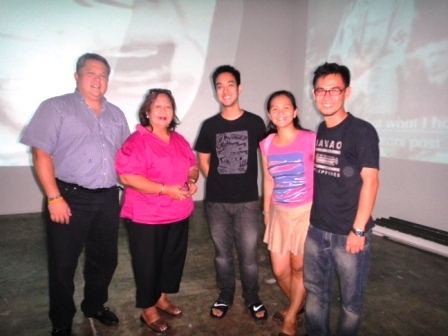 With six hard-wearing audio-visual projections thrown across walls and ceilings of the NOVA, it projected a tenor of apologetic speeches from Adolf Hiltler, former Uganda President Idi Amin, current Japanese emperor Akihito and in the Philippines, celebrity Kris Aquino, former President Gloria Macapagal-Arroyo and a local priest. Clarissa Chikiamco described the exhibit as a “politically powerful, constructed spectacle, (that put) the audience as subjects in time (and) space.” The exhibit highlighted the space of the media specifically the role of mass media in creating and recreating information. How the reader, viewer, consumer constructs space and participate in the space of newsreels and television are explored. The well-known video artist was inspired by the signage ‘Sorry for the Inconvenience’ often displayed when services to the public are suspended to give way to construction work for improvement at the expense of the public immersed with inconvenient circumstances. Manny Montelibano received his training as technical director at University of St. La Salle, Bacolod and through a director’s apprenticeship under filmmaker Peque Gallaga. I was told that Montelibano is a member of the Black Artists In Asia Association Inc. and founded Bacollywood: The Visayan Film Festival. 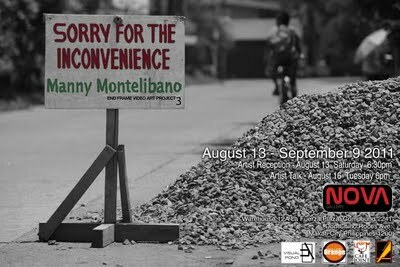 The Sorry for Inconvenience video exhibit is the second offering of End Frame Video Art Project 3. 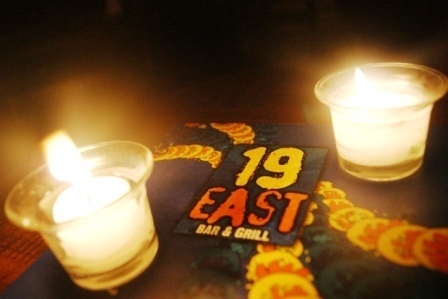 After our dinner at Great Eastern Hotel Makati we journeyed south to unwind and chill out at 19East Bar and Grill. We were greeted with a dozen of positive vibes by its picturesque garden and the cozy ambiance and chic sound system of the Music Hall made it more exciting. 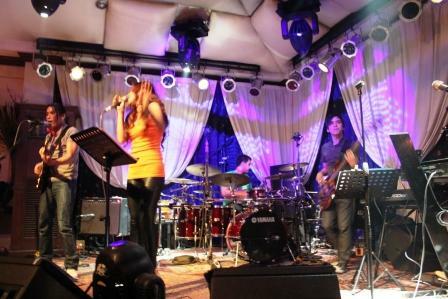 19East showcases the greatest names in the music industry like Side A, Freestyle, MYMP, Pupil, Sandwhich among others. The "F" trippers enjoying the candle lights and "so artsy" ambiance of 19 East before the MYMP performance. We had a smorgasbord and enjoyed an action-packed (whoo, like boxing? ), dance-moving performance of the band MYMP. 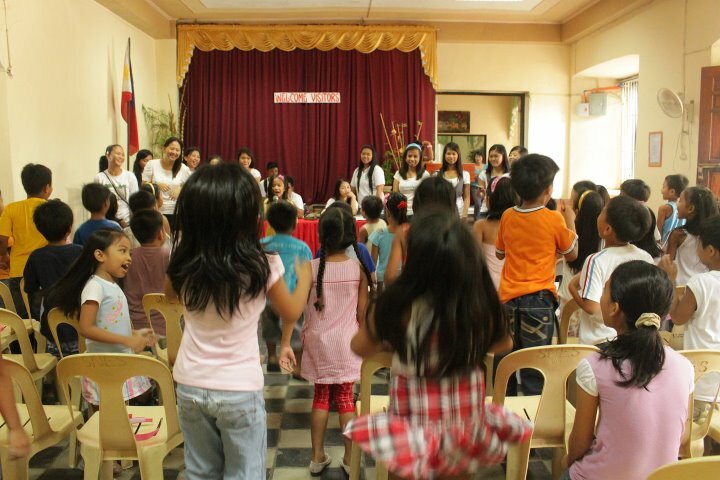 We sang and partied with much adoration (tinayuan namin no coz we find it irresistable!) as MYMP swaggered the night with us singing the best songs around. Some bought their latest album and have it signed by the band. We had a couple of photo-ops at the garden and then we went back to the hotel to have our most desired sleep. We enjoyed the evening. It was impressive. 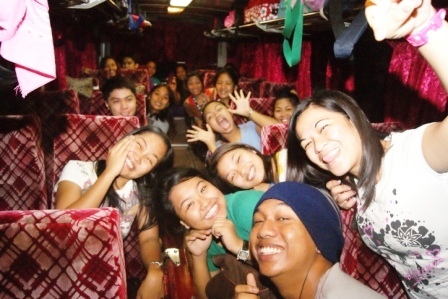 The experience was memorable and I bet these memories will be treasured without end. MYMP swaggered the night with us! There you go! 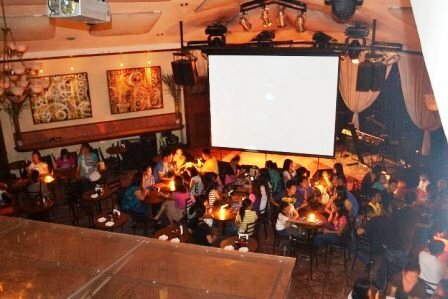 The upscale sound system at 19East is one of the best in the country. Erected in 1918 and reconstructed in 1948, the National Art Gallery displays the works of legendary artists in the Philippines. 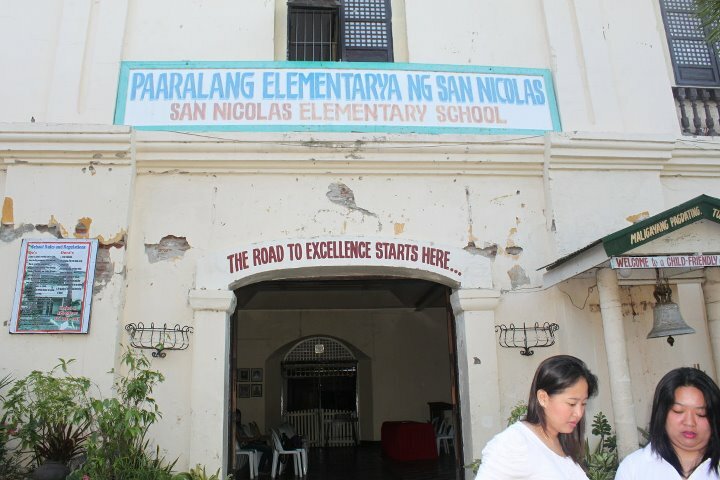 The works of National Artists Guillermo Tolentino, Napoleon Abueva, Juan Luna, Juan Arellano, Felix Resurrecion Hidalgo are some of the illustrious artworks exhibited here. We were briefed that the National Art Gallery has seven huge art rooms. These are the Hall of Masters, the Holding Room, the Arellano Room, Beloved Land, Vessels of Faith, Hall of National Artists for the Visual Arts, and the Freedom Yearned For exhibit room. 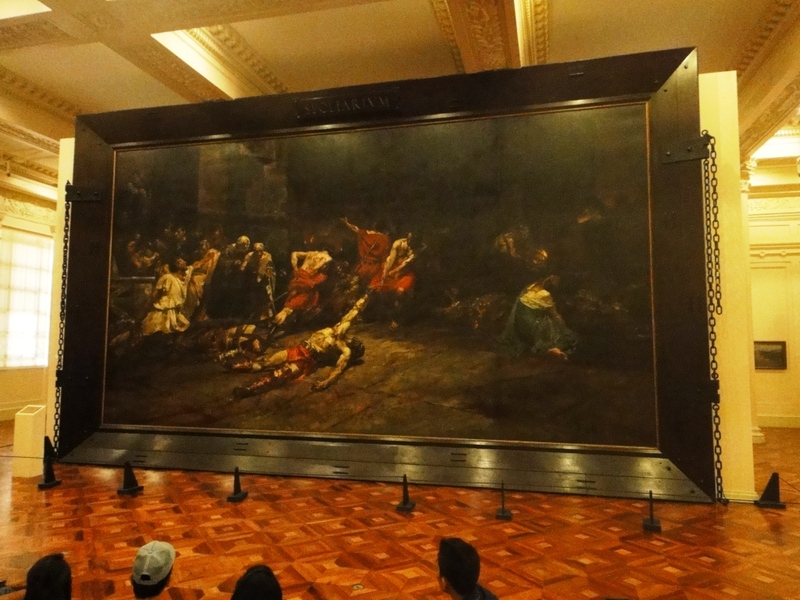 Juan Luna's Spolarium and me face to face. Magnificent, majestic. legendary! 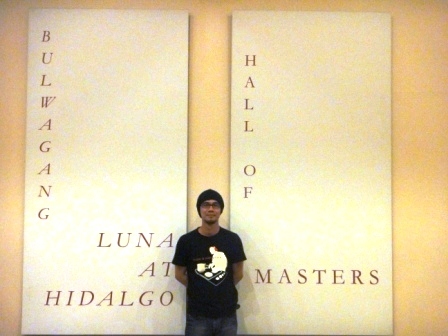 The Hall of Masters room is dedicated to the 19th century Filipino painters Juan Luna and Felix Resurrecion Hidalgo. 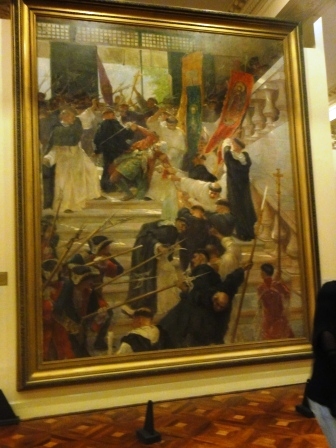 Luna’s Spolarium and Hidalgo’s Virgenes Cristianas Expuestas al Populacho and other works of the two masters are exhibited here. The Hall of National Artists. Artworks of National Artists are displayed here! This place is very spiritual! The Arellano Room is dedicated to the creative painter-architect Juan Arellano. 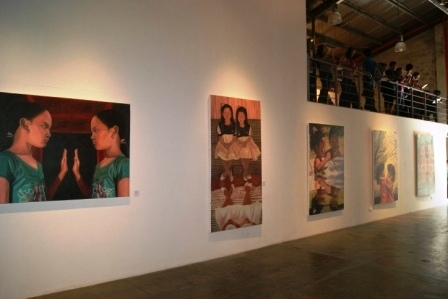 He pioneered the modern and neo-classical method of Filipino art. The Beloved Land room introduces the timeline of Philippine art history. 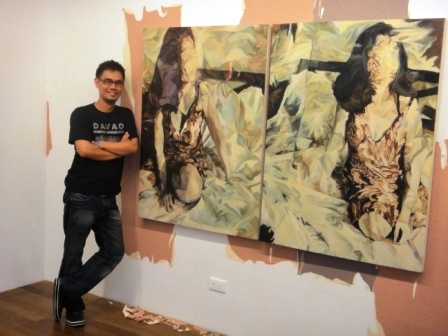 The transformations and shifts of visual arts in the Philippines are staged here. 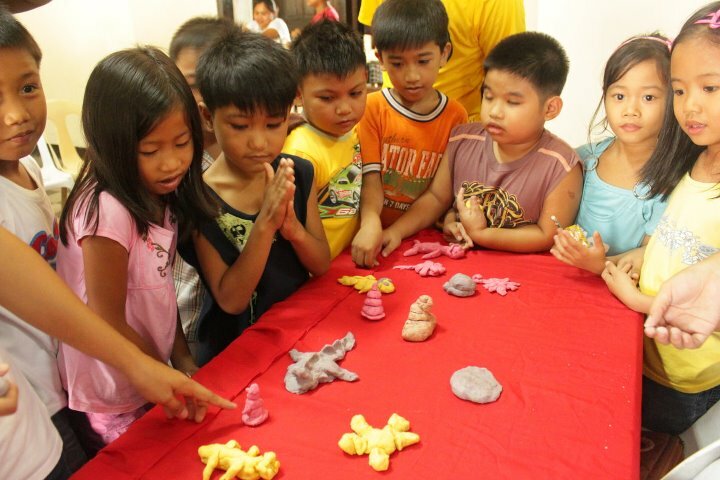 The Vessels of Faith room presents innumerable forms of spiritual practices in the Philippines. From the images of the altar to the ways by which their devotees stage ritualistic ceremonies about the afterlife, prayers to spirits are showcased here. At the Hall of Masters National Art Gallery! 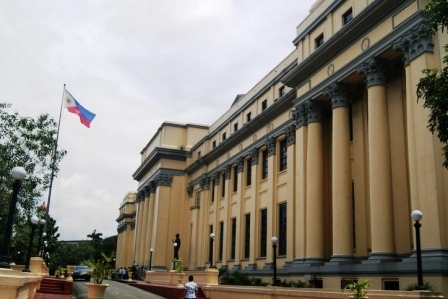 The Hall of National Artists is devoted to the visual artists who have been named National Artists by the Philippine government. The Freedom Yearned For room displays the artworks that depict the fight of Filipinos against colonialism and tyranny that persist to this day. The artworks accentuate the protagonists of Philippine history, their heroism and sacrifices. Like the National Art Gallery of the Philippines, the Ayala Museum maintains a diverse collection of handcrafted dioramas that recounts the opulent history of the Philippines. Archeological and ethnographic items from the country’s cultural kibbutz complete the museums abounding historical collections. The fine arts collection features the original works of Philippine art icons like Juan Luna, Fernando Amorsolo and Fernando Zobel. The Gold of our Ancestors at the Ayala Museum is a permanent exhibit. Pre-colonial Gold ornaments displayed gives you an idea about pre-colonial life arts, culture and traditions in the 10th century. The fourth floor of the Ayala Museum exhibits 1,059 precious pre-colonial Philippine objects that date back as far as the 10th century AD. Entitled “The Crossroads of Civilizations” the exhibit displayed pre-Spanish gold pieces of funerary masks, ornaments, ritual containers, and cutwork diadems found in the Islands of Luzon, Visayas and Mindanao. 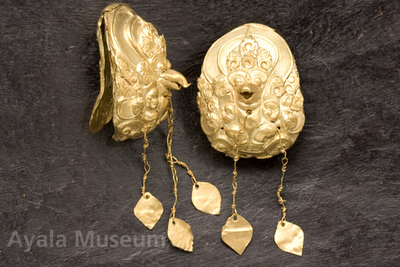 The gold ornaments imply deep Hindu influences and sophisticated indigenous goldsmithing techniques in the pre-colonial Philippines. The Kinmari of Hindu Mythology displayed at the Ayala Museum. 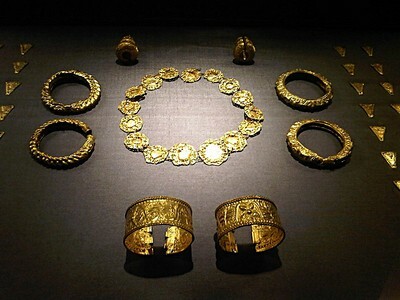 9th-10th Century Pre-colonial Philippine "Gold" artworks. Ayala Museum Collection. Dr. Capistrano-Baker, curator, hypothesized “that whoever made them was exposed to Hindu beliefs.” The article of Zafra on the gold pieces further notes that “when the Spanish Conquistadores arrived in the Philippines, they observed that the natives were bedecked with gold from head to foot.” Moreover, Peter Bellwood learned that the U-shaped ornaments were manufactured here 2,500 years ago. The Gold Garuda. The ornaments displayed at the suggest deep Hindu influences in the pre-colonial Philippines. 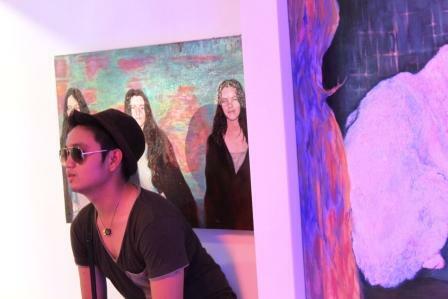 Photo by the Ayala Museum. The “Upavita” of Hindu mythology is the centerpiece of the exhibition, weighing at 4 kilograms, the Sacred Thread was worn by the Brahmin class in traditional Hindu society. The “Kinmari” of Hindu mythology, a shape creature that is half-bird and half-human further indicates that civilization existed before the Spanish conquest. 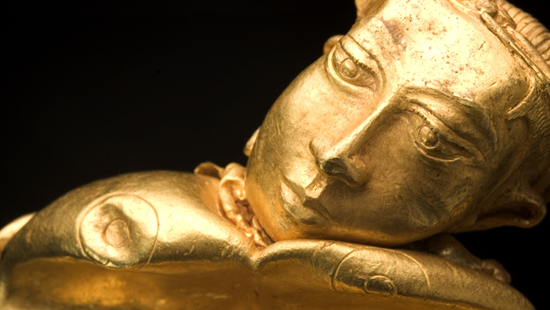 The “Gold of our Ancestors” is a permanent exhibit at the Ayala Museum. It was acquired and collected by the family of the late National Artist and architect Leandro Locsin. 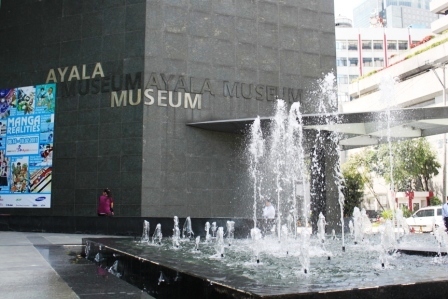 The Ayala Museum also displays 500 trade wares, Chinese and South East Asian ceramic wares, considered the finest of its kind in the country. 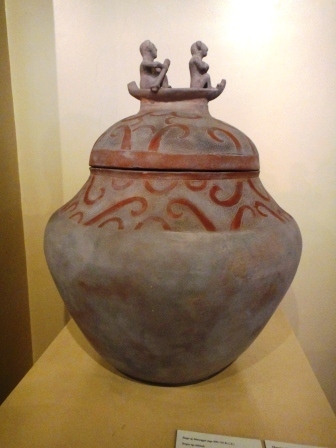 The ceramics were brought to the Philippines through trade in the 9th to the 19th century. 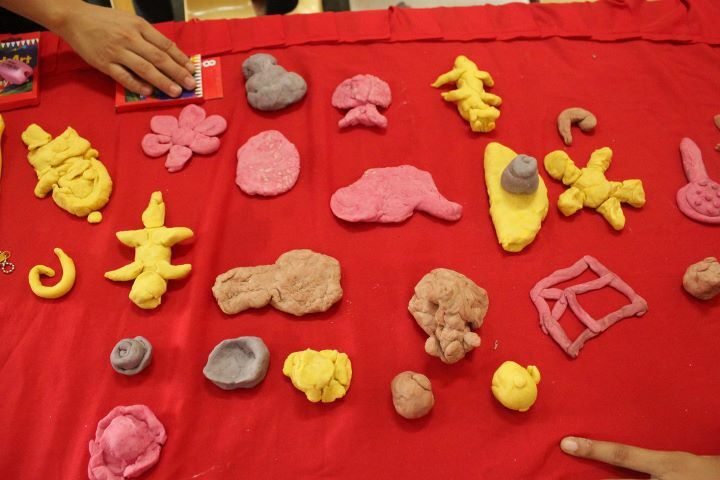 Known as the Roberto T. Villanueva collection, it showcase the artistic quality and creativity of Chinese potters in China. Untitled. Oil on Canvas. Fernando Amorsolo. 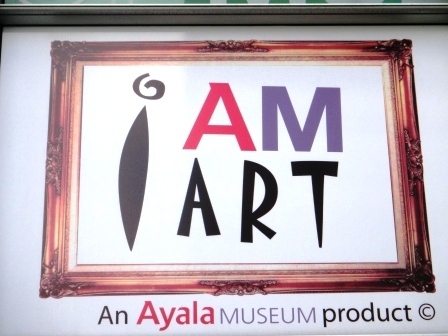 Ayala Museum. At the third floor gallery, the museum features the pioneering artworks of Juan Luna, Fernando Amorsolo and Fernando Zobel. The gallery chronicles the 100 years of Philippine Art. 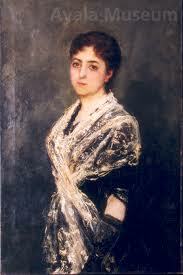 Exhibited artworks of Juan Luna include La Marquesa de Monte Olivar, Lady at the Racetrack, Ragamuffin, and Youth with Stick. 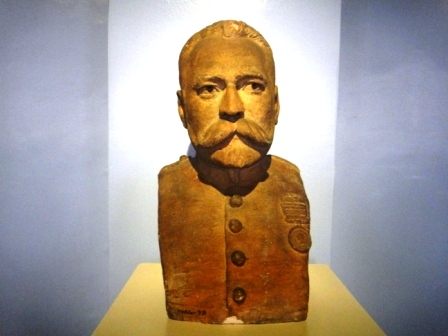 Juan Luna was born in Badoc, Ilocos Norte in the year 1857. The room also displays the works of Fernando Amorsolo using impressionistic techniques in the formation of Philippine notions of identity and self. Maiden with Lanzones, Early Sulu Wedding, First Baptism in the Philippines, and Burning of the Idols are some of Amorsolo’s art works displayed in the visual arts gallery. A patron of the artist Fernando Amorsolo, Fernando Zobel, the youngest child of Enrique Zobel De Ayala, art works are also in the exhibition. A winner of the Art Association of the Philippines in 1952 he believed that color possessed a poetic range of emotions. In his search for visual grammar he specialized in abstract art. El Charles IV, La Nutria, Quatro Lineas, Dialogus Con Pontos are some of his works exhibited. 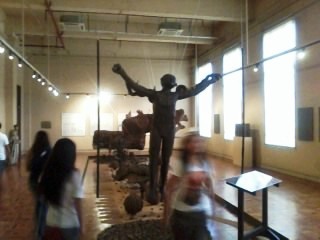 The Second Floor Gallery is an encounter with the dioramas (50 at least) of Philippine history. 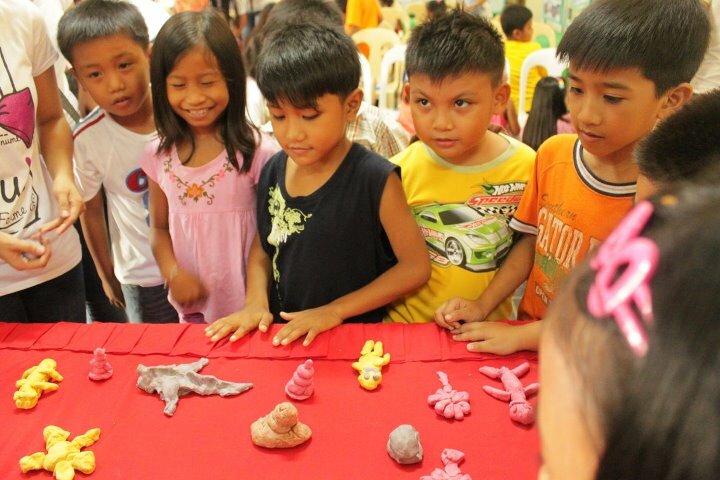 Carved by artisans from Paete Laguna, the dioramas depict the significant themes and events in history. 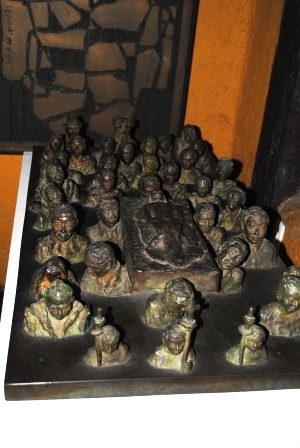 The diorama culminates with the People Power multi-media presentation where the death of the late Senator Benigno “Ninoy” Aquino propelled the nation to overthrow the dictatorship of the late President Ferdinand Marcos. The bloodied bulletproof vest worn by Ninoy is displayed near the stairways of this gallery. The second floor gallery also exhibits a miniature replica of pre-hispanic sailboats, Chinese junk, Arabian Baghla, Lorca, the Galleon and the Caravel. The ship models are a tribute to the local and foreign ships that dropped anchor in Philippine shores. At the Ground Floor, we saw the unique imagery and imaginative storylines of traditional Japanese animation. Displayed at the exhibition called Manga Realities we had the opportunity to explore Japanese comics, history, cinema and literature. 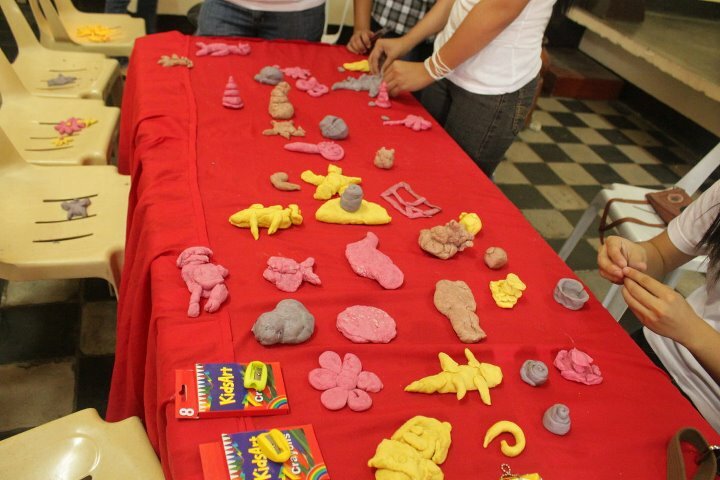 With special sound effects and occasional 2D and 3D animation presentations, some of the “F” trippers wondered if it’s possible to do such art in the Philippines. They imagined a local version of Manga featuring our local heroes and legends. 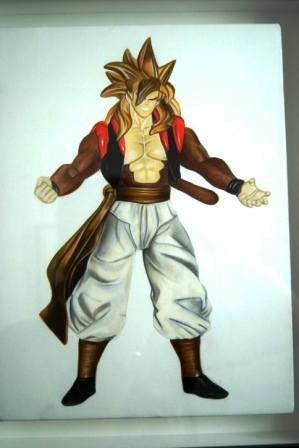 The exhibition featured 9 Manga artists and their works from 2000s. A number of the artists featured hit big in the Philippines. 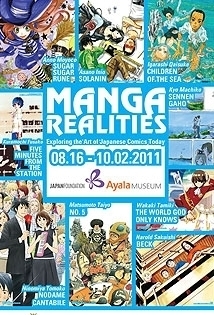 The Manga Realities exhibit was presented by the Ayala Foundation and the Japan Foundation and supported by Acer, Lyric, Samsung, Mitsubishi Corporation and Via Mare. 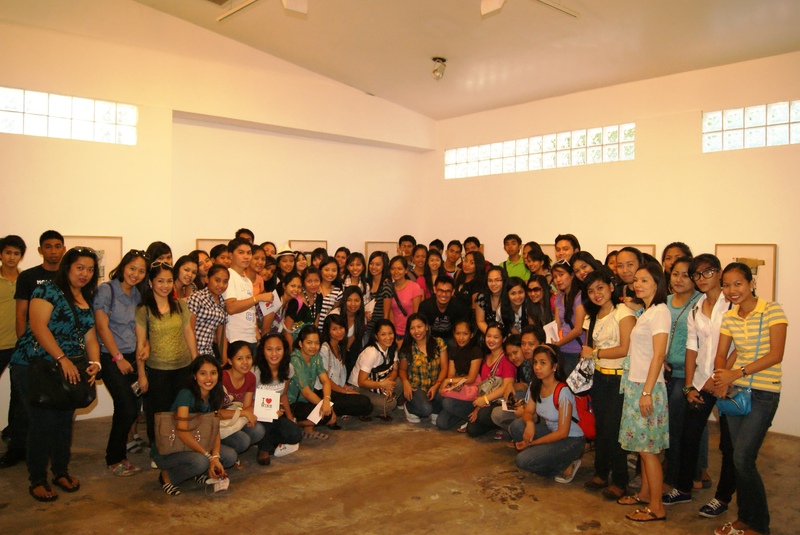 Ayala Museum 2011. Darwin Cadiz Photo. 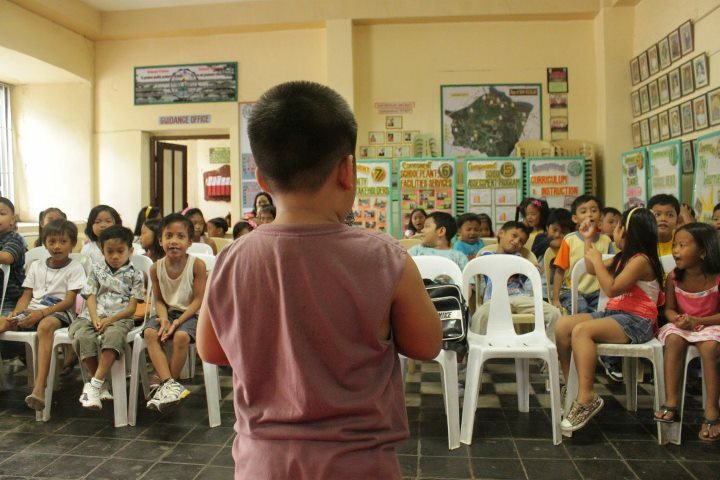 The best way to end the “F” trip was to pop in at the ever-enchanting Cultural Center of the Philippines. If you want to feel aesthetic, historical, spiritual and cultural at the same time this is the place to be. And so we went to the culture and arts hub of the Philippines and explored intimately the interiors and exteriors of the CCP. We were fortunate to have two gorgeous tour guides around and accompanied us from the ground floor to the uppermost deck of the Center. The Artworks, the Chandeliers, the Stairs, the Red Carpet, the Frames, the Walls, the Museum, the Theatres and all within it were majestic and magnificent to say the least. And as expected everything is, in one way or another, attributed to the former first lady Imelda Marcos. 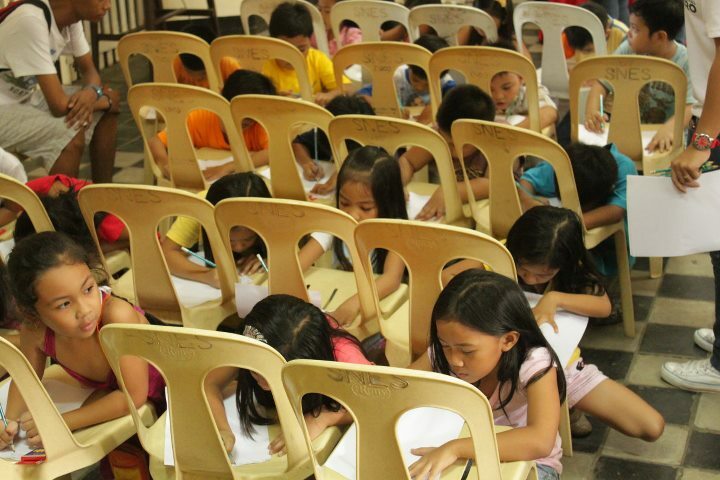 The Cultural Center of the Philippines was created in 1966 through Executive Order no. 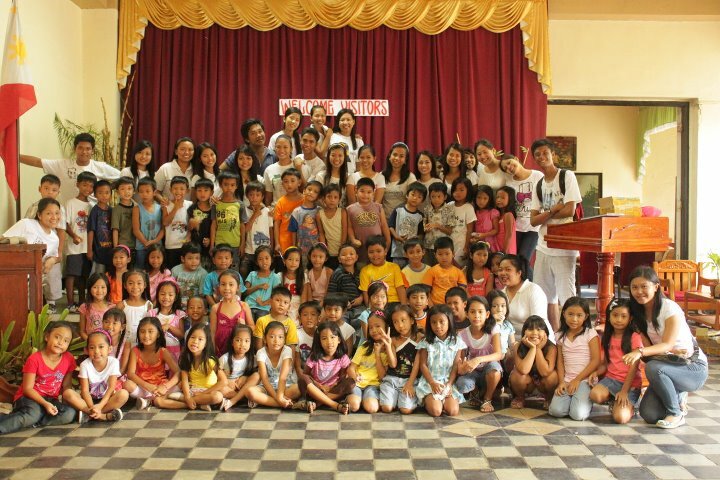 30 with the purpose of promoting and preserving Filipino arts and culture. It was inaugurated in 1969. 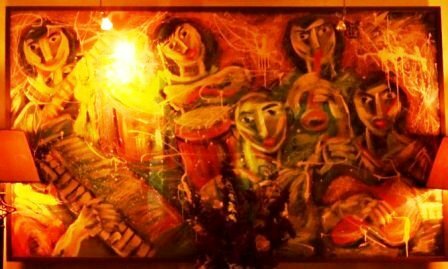 The best artists from all over the country and around the world have adorned the CCP theaters and galleries and fascinated Filipinos for over thirty years. The aim of the “F” trip was to provoke “us to think about the human in the most human of ways” to paraphrase the words of Dean Victoria Mora of St. John’s College and to expose my students to new concepts and ideas that foster creativity. I always believed that creative engagement is necessary to open the mind, stimulate the intuition and knock some of the irrational perspectives out entrenched by decades of ego-tripping culture and dogma and visiting art galleries, cultural museums; joining art talks and music events are good alternatives (beyond classroom, beyond conventional institutions like church, government, corporate) for people to experience the transformative power of the humanities. While the “F” trip eases the process of grasping new concepts, experience is always the best teacher. Thanks to Madam Fajardo of Great Eastern Hotel and Professor Ruel Rafada. 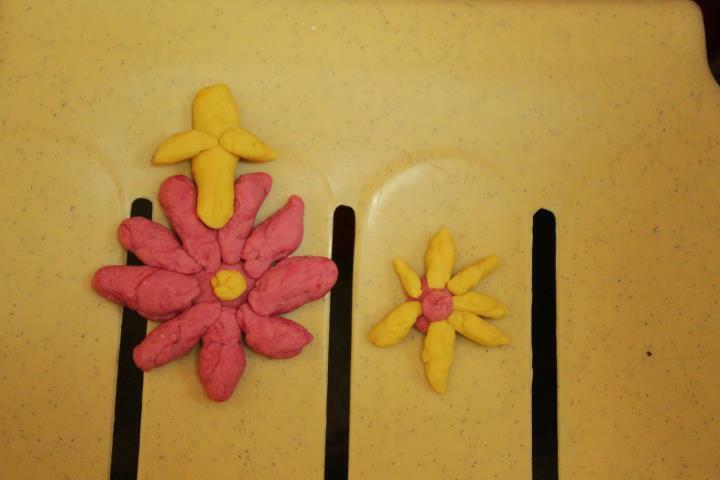 To Lori Jane Dancel, Darwin Cadiz and Kimberly Ilaga for the amazing photos. Thanks a lot! At the Finale Art Gallery. 2011. Darwin Cadiz Photo.